Haidari, M., Etemad, V., Khosropour, E. (2013). Study of tree regeneration in the grazed and non-grazed areas in the Iran-o-Turanian Ecological Zones. 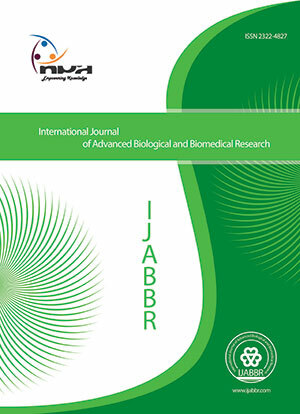 International Journal of Advanced Biological and Biomedical Research, 1(1), 18-24. Maziar Haidari; Vahid Etemad; Esmaeil Khosropour. "Study of tree regeneration in the grazed and non-grazed areas in the Iran-o-Turanian Ecological Zones". International Journal of Advanced Biological and Biomedical Research, 1, 1, 2013, 18-24. Haidari, M., Etemad, V., Khosropour, E. (2013). 'Study of tree regeneration in the grazed and non-grazed areas in the Iran-o-Turanian Ecological Zones', International Journal of Advanced Biological and Biomedical Research, 1(1), pp. 18-24. Haidari, M., Etemad, V., Khosropour, E. Study of tree regeneration in the grazed and non-grazed areas in the Iran-o-Turanian Ecological Zones. International Journal of Advanced Biological and Biomedical Research, 2013; 1(1): 18-24. Regeneration and forest durability guarantee is one of the most important aspects of forest sustainability and it should be placed in forest plans priority. To compare regeneration in the two grazed and non-grazed forest, Baghe-shady forest located in Khatam city (it has the preservative regions that they are 20 years old), Yazd province, Central of Iran was selected. For this purpose, 60 sample plots (30 plots in the grazed and 30 plots in the non-grazed area) were sampled by a randomized-systematic method with 100 m2 square plots (10×10 m) in the Net 100×200 meters were sampled. In every sample plot recorded regeneration and health condition. T-test was used to analysis of mean regeneration differences between grazed and non-grazed area. To analysis data use the SPSS16 software. Results showed the mean of sound seedlings of almond, pistachio and Monpollier maple in the non-grazed region were more than grazed region. These results indicated that non-grazed region more preference than grazed region. Regeneration in non-grazed region was less than grazed region. T-test indicated significant difference between non-grazed and grazed region for sound and height seedlings. Overall results showed that the grazing have a negative effects on regeneration. To manage of this forest authors suggested that continue preservative plans (non-grazed area) and provide foliage for cattle. Alijanpour A, Zobeiri M, Marvi Mohajer M.R, Zargham N, Feghhi J, 2004. A Comparison of Forest Stand Quantitative Factors in Protected and No protected Areas in Arasbaran Forests, Iranian J. Natural Res, 57(3): 447-453. Asner GP, Elmore EJ, Olander LP, Martin RE, Harris TA, 2004, Rev. Environ Resour, 29: 261–299. Dastmalchi M, 1998. Investigation compatibility experimental of tree species Ardabil province, Jangal and Senoubar J. Inst, For, Ranglands Res, NO.203: 168. Ghanbari Sharafeh A, Marvie Mohajer M.R, Zobeiri M, 2010. Natural regeneration of Yew in Arasbaran forests, Iranian Journal of Forest and Poplar Research, 18(3): 379-389. Haidari M, Jalilvand H, Haidari R.H, Shabanian N, 2012. Study of Plant Biodiversity in Grazed and Non grazed Areas in the Iran-o-Turanian Ecological Zones (Case Study: Yazd Province, IRAN), Annals of Biological Research, 3 (11):5019-5027. Huntly N, 1991. Herbivores and the dynamics of communities and ecosystems, Annu RevEcol Syst, 22, 477–503. Jafari M, 1997. Research Institute of Forest and Rangelands of Iran, 121. Marvi-Mohajer MM, 2005, Silviculture, Tehran University Press, Tehran, 380p. Mirshamsi H, 1997. Study of almond in the Yazd province, M.SC Thesis, University of Tehran, 76p. Ravanbakhsh H, Marvie Mohajer M.R, Etemad V, 2012. Natural regeneration of woody species in woodlands of southern slopes of Elborz mountains (case study: Latian watershed), Iranian Journal of Forest, 2(2): 110-125. Rooney T.P, Waller D.M, 2003. Direct and indirect effects of white-tailed deer in forest ecosystems, Forest Ecol. Manage, 181, 165–176. Shakeri Z, Marvi Mohajer M.R, Namiranin M, Etemad V, 2009. Comparison of seedling and coppice regeneration in pruned and undisturbed oak forests of Northern Zagros (Case study: Baneh, Kurdistan province, Iranian Journal of Forest and Poplar Research, 17(1): 72-84.